Microsoft has experienced some setbacks with the latest major updates of Windows 10. However, remember, last November, the Redmond firm made a commitment to improve the quality of new versions of Windows and the update process. Unfortunately, things have been getting worse in recent months: the October update has literally been abandoned and the April update has been postponed to May. Windows 10 May Update downloadable via the media creation tool? The next Windows update is almost ready. Microsoft wants to avoid a new fiasco and has decided to delay its release to fix any bugs that may impact users. The update has therefore been made available to the most curious and courageous users via the slow channel normally dedicated to Windows 10 Preview. This method requires the creation of an Insider account (free). The Italian site HTNovo.net has located the new version of Media Creation Toolkit. This software is none other than the Windows 10 in-house update tool for creating ISO installation files. 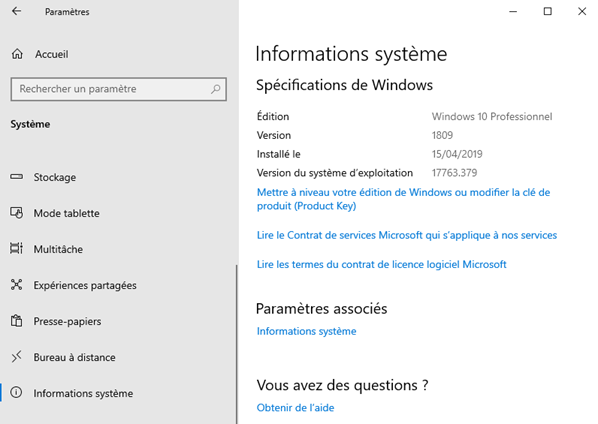 Nevertheless, despite the first information announced by this site, the proposed ISO file does not correspond to Windows 10 1903 (May Update). As you can see on this screenshot, the ISO file created with MediaCreationTool1903.exe corresponds to Windows 10 version 17763.379 (1809) and not to version 1903. It will therefore take a few more weeks before the update can be downloaded.